Talofa lava! 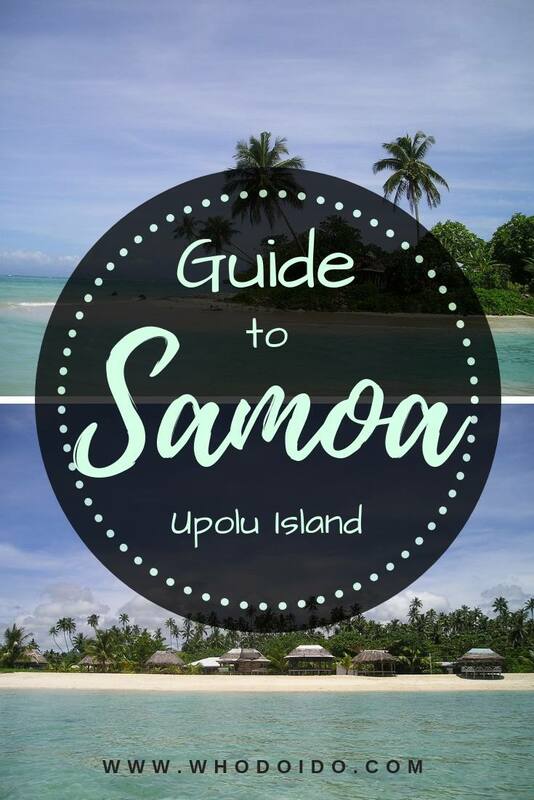 A honeymoon surprise to Samoa! Two weeks in Samoa was planned by Ian as a honeymoon surprise for me. Having spent four weeks in a motorhome road tripping the east coast of Australia, a bit of R&R was needed. Arriving at Sydney airport to find out that you’re not flying back to the UK, but to Samoa, was the best surprise ever (apart from the surprise wedding in a ‘fairy tale’ Castle in Slovakia of course!). We flew from Sydney airport to Apia, Samoa (Upolu island) with Virgin Australia. We found Virgin Australia to be a ‘no-frills’ airline – snacks and drinks to be purchased during the flight, not the usual Virgin flights we’ve been on before. 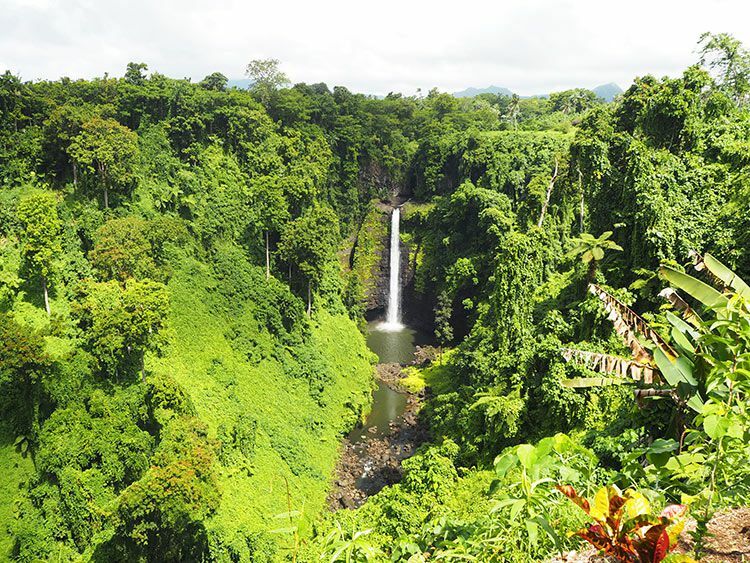 Getting to Samoa is super easy – it’s 3½ hours from Auckland and 5 hours from Sydney and Melbourne. 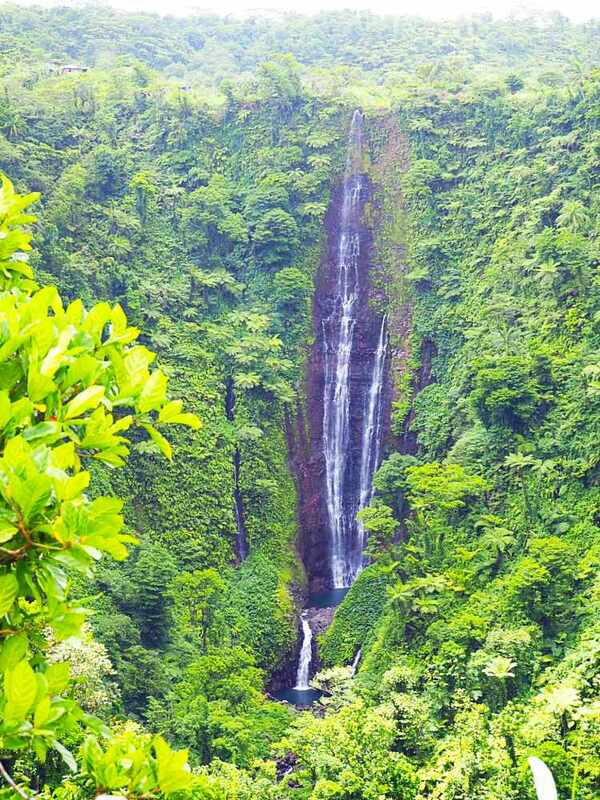 There is an abundance of beautiful waterfalls situated around the island. With a few of the waterfalls, you may have to pay entrance fees as these are located at the end of people’s gardens (that’s right…the end of a garden!). Wouldn’t you love a water feature like that at the end of your garden? The entrance fees range from $5-10 (Tala is the local currency). We recommend hiring a car for the day to find the waterfalls and be warned that the signs for some of the waterfalls are fairly small! A few times we had to brake hard and reverse, as we almost drove past the signs. 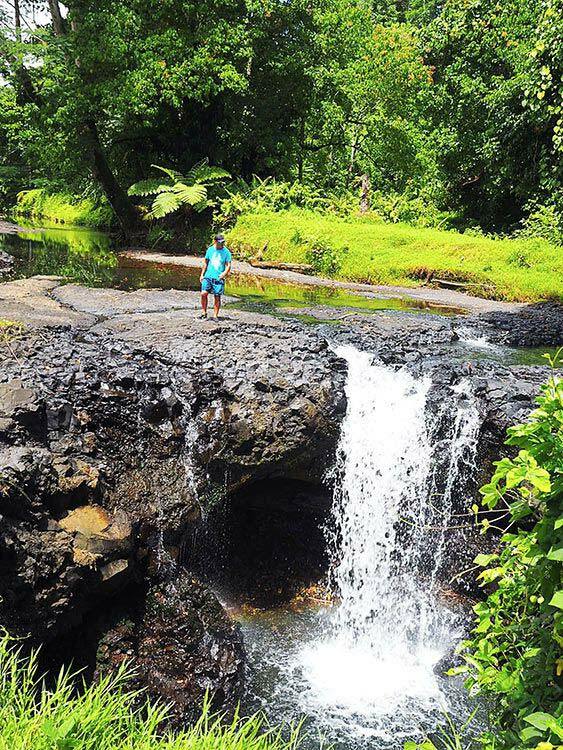 Sopoaga and Falefa waterfalls are $5 and Fuipisia is $10. 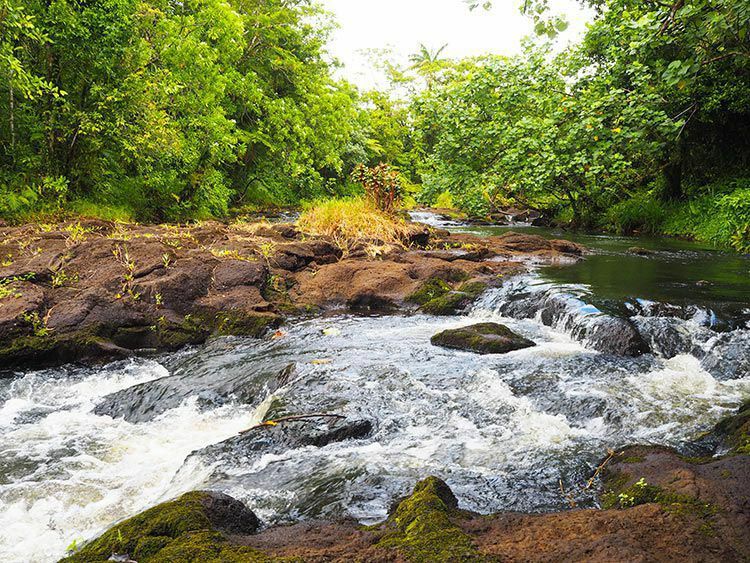 Papapapai-uta and Togitogiga waterfalls are free to visit. 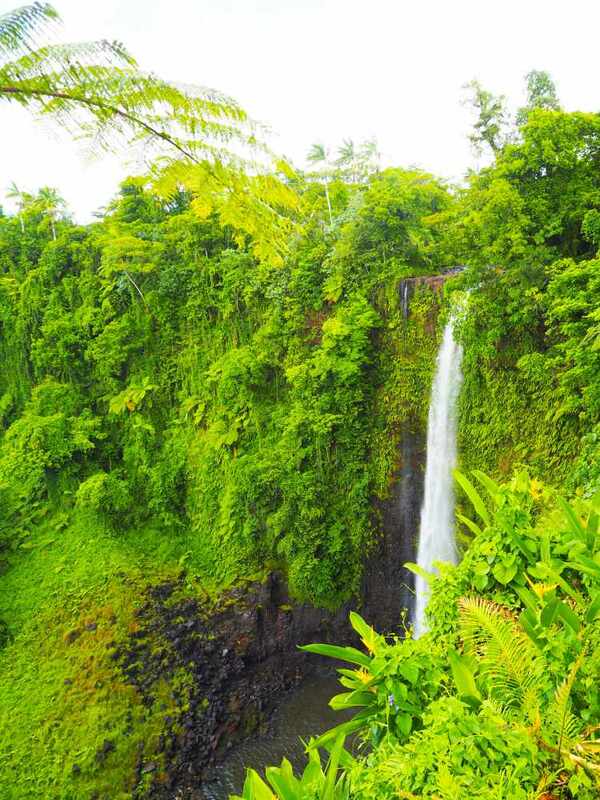 The most popular spots are Togitogiga and Sopoaga Falls. 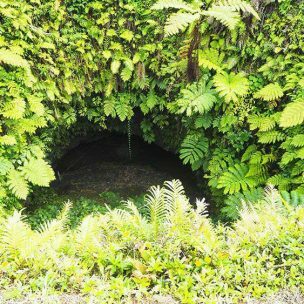 For an unforgettable and unique experience, visit To Sua Ocean Trench. 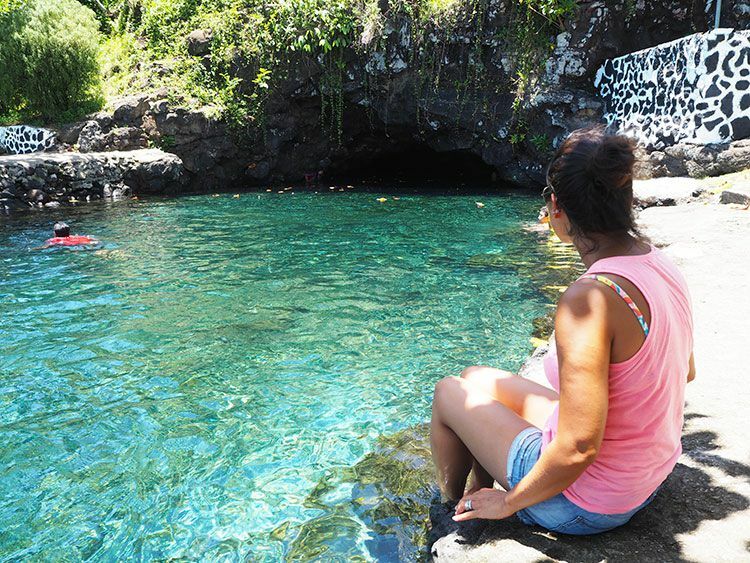 To Sua Ocean Trench translates to ‘big hole’ and is on the main south coast road, located in Lotofaga village. 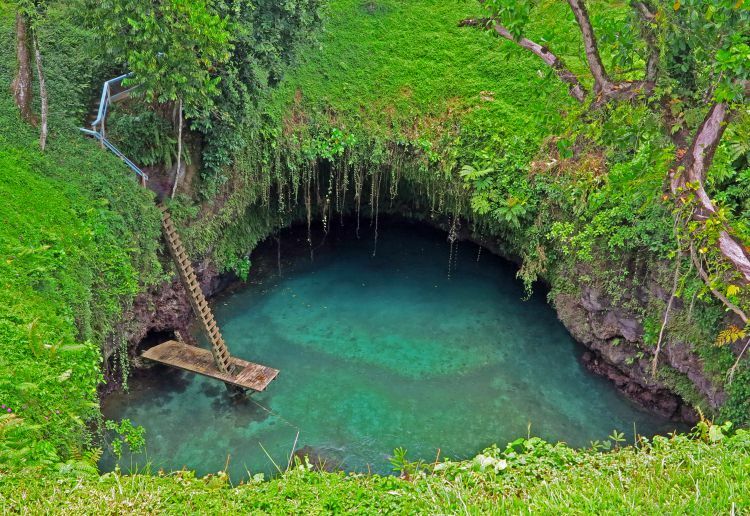 It’s a giant swimming hole, 30m deep and can be accessed by concrete steps and a wooden ladder down to a wooden platform. For the adventurers, you can dive off the platform if the water levels are high enough. 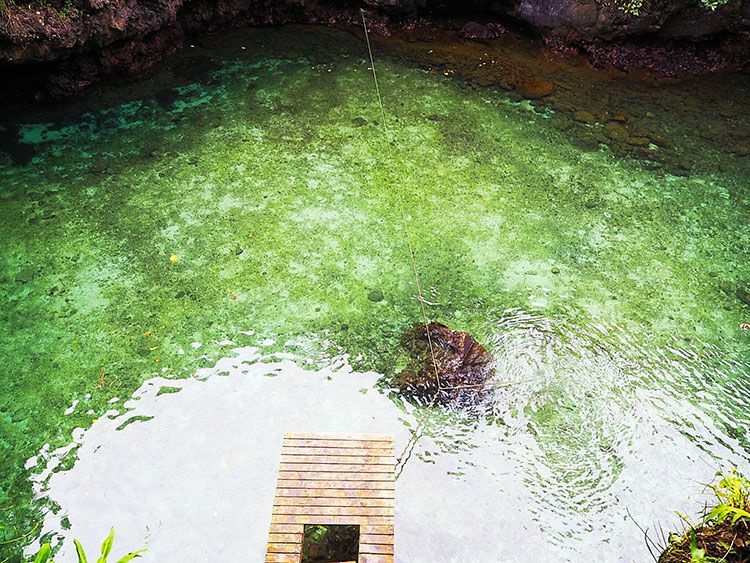 The water is crystal clear with tropical fish swimming around your feet. 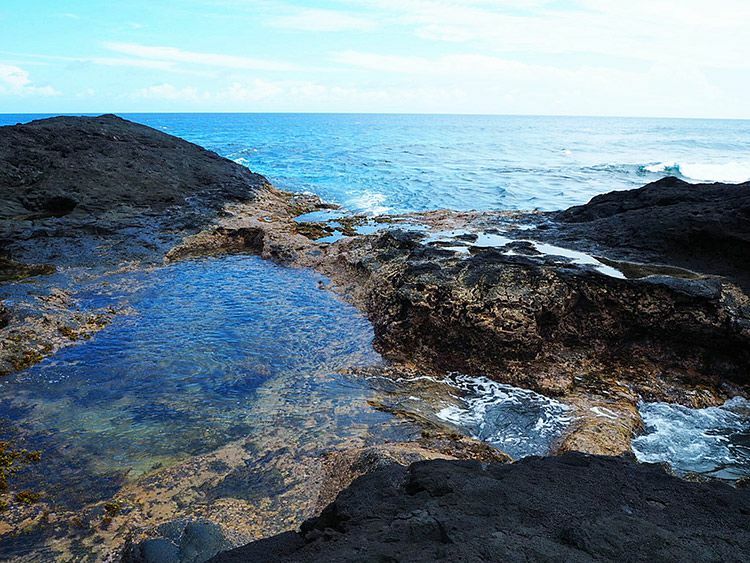 The area offers cliff top views, lush green gardens, blowholes and rock pools. There are also many fales dotted around the area for you to relax and take in the views or to shelter from any sudden rain fall. The area opens every day from 7am-6pm, entrance fees are $15 for adults and $6 for children. Tip: Recommend bringing water shoes. You can leave your belongings on the platform or by the rock ledge at the top of the ladder. For the ladies, cover up once you’re out of the swimming hole. Vavau beach is on the south east of the island and part of Lotofaga village. You can walk to Vavau beach from the Seabreeze Resort along the coast in around 20 minutes. If you access the beach from the road, you may have to pay an entrance fee since the area is owned by the Lotofaga village. Vavau beach was popular with the locals on weekends but during the week was almost empty with just an occasional fisherman/woman to be found shopping for dinner 😉 We walked from Seabreeze Resort and did not bump into anyone the entire time we were there. Deserted sandy beach, turquoise waters, so tranquil … picture perfect! 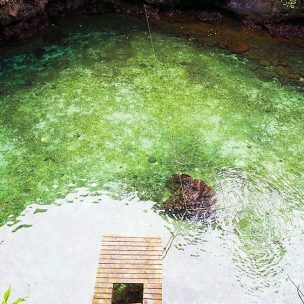 The Piula Cave Pool is on the east coast road located in Lufilufi village. 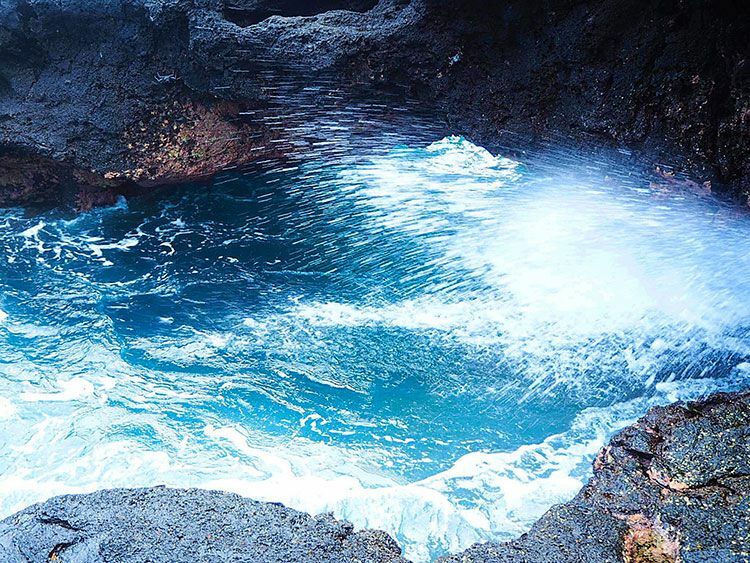 It’s a natural freshwater pool, popular with tourists and locals. 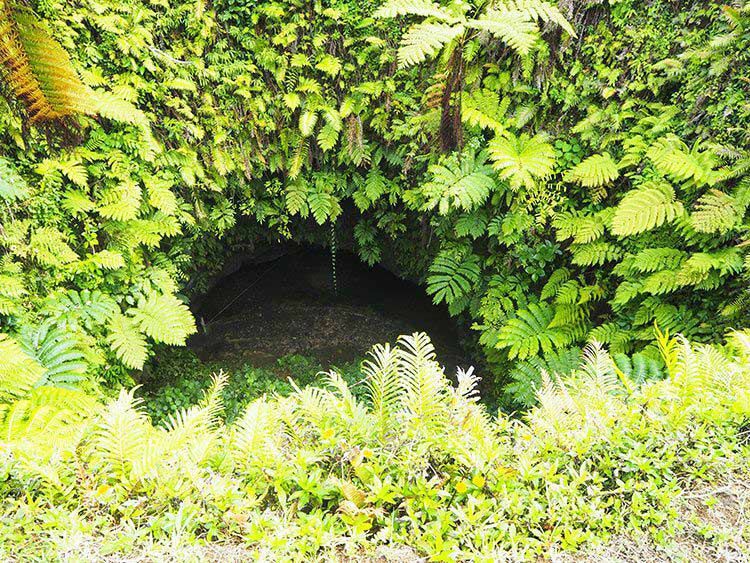 The cave pool was formed from an old lava tube. When you swim inside the main cave, there is a submerged tunnel leading to a smaller cave. 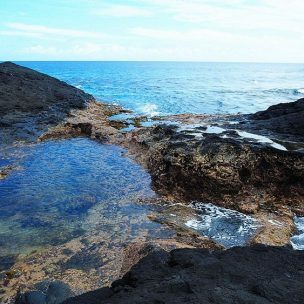 The water is blue-green, crystal clear, filled with little fish… great for a refreshing swim and for dipping your toes in! There are changing rooms, fales and toilets on site. There’s also a small entrance fee to swim in the cave pool. 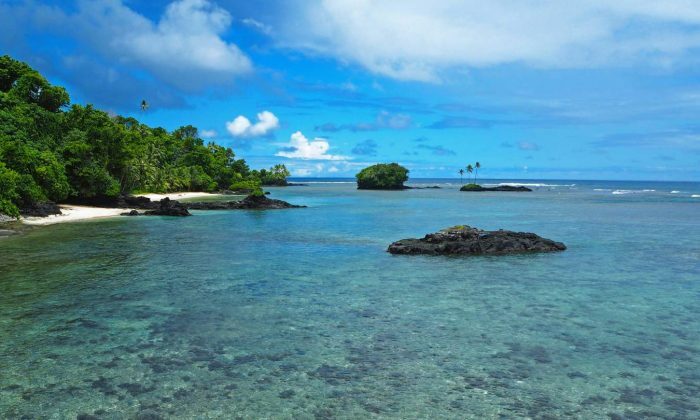 Apia is Samoa’s capital, only 40km from the airport. 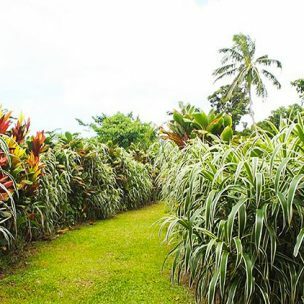 Wander around the colourful Fugalei market, selling fresh tropical fruits and sample some of Samoa’s favourite bites. A 10 minute walk from the food market is the flea market – the perfect place to find those souvenirs from hand crafted wood carvings, lavalavas (sarongs) to beautiful handmade jewellery. 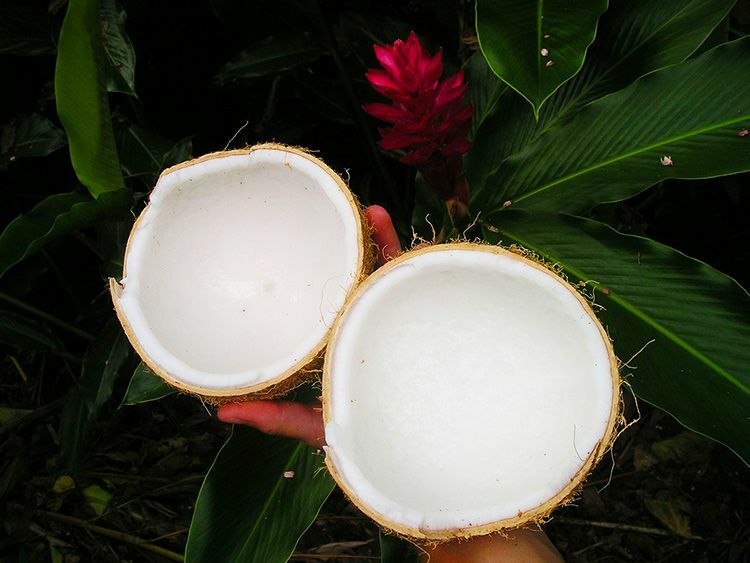 Whilst browsing the stalls, why not pick up a cold niu (drinking coconut) to help combat the heat. Visit the Robert Louis Stevenson Museum which will give you an insight into the author’s life and family and what brought him to Samoa. The famous author of Treasure Island and Kidnapped was known to the Samoans as Tusitala (Teller of Tales). 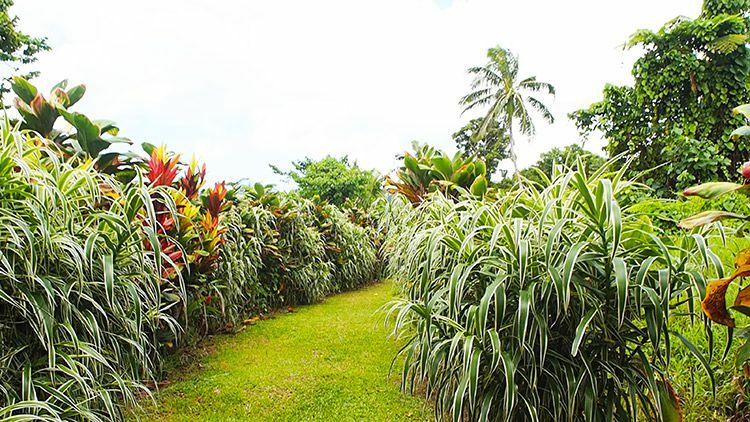 After the 40 minute guided tour, take a stroll around the botanical gardens and the rainforest trails surrounding the house. Tip: Don’t forget to bring your walking shoes and a bottle of water. 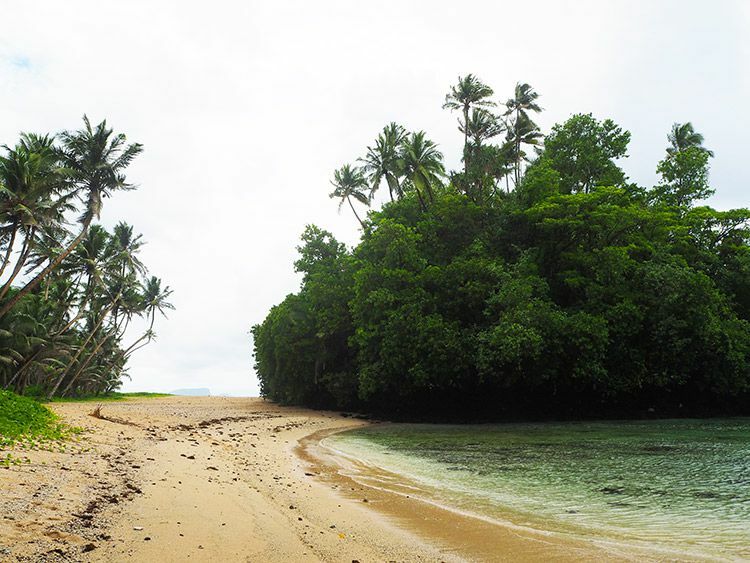 The white sandy beach of Lalomanu is located on the south-eastern tip of Upolu and is known to be one of Samoa’s most pristine beaches. The lagoon is a protected marine reserve, home to many tropical fish. So don’t forget to bring your snorkelling gear or you’ll miss out. 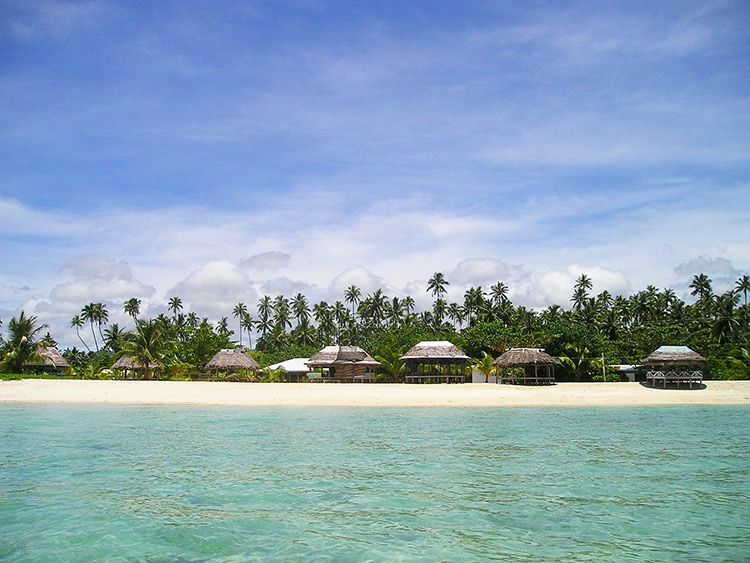 The beach is so beautiful, you’ll be tempted to stay a night or two in a open beach fale. For those looking for a quiet hideaway, take a 10 minute boat ride from Mutiatele (the east coast of Upolu) to the island of Namu’a. 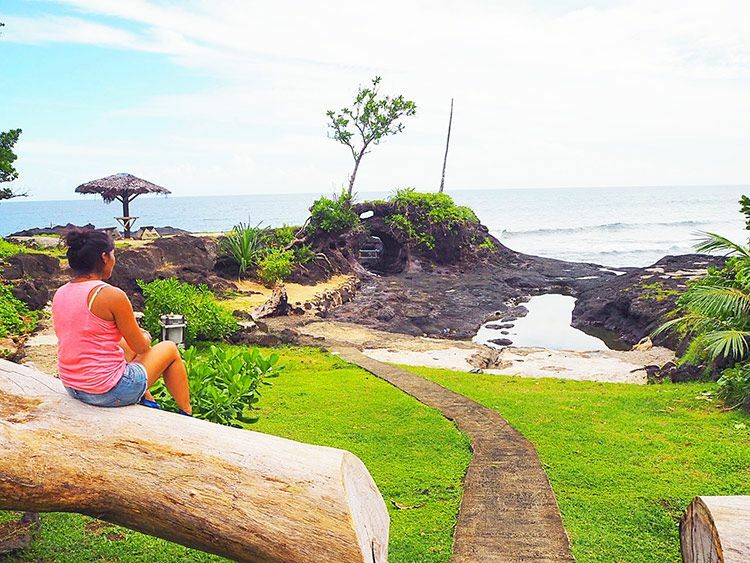 Namu’a has beachfront fales to lounge around all day with views of Upolu. The beach is perfect for just relaxing and soaking up all that sunshine, kayaking and swimming with green turtles. 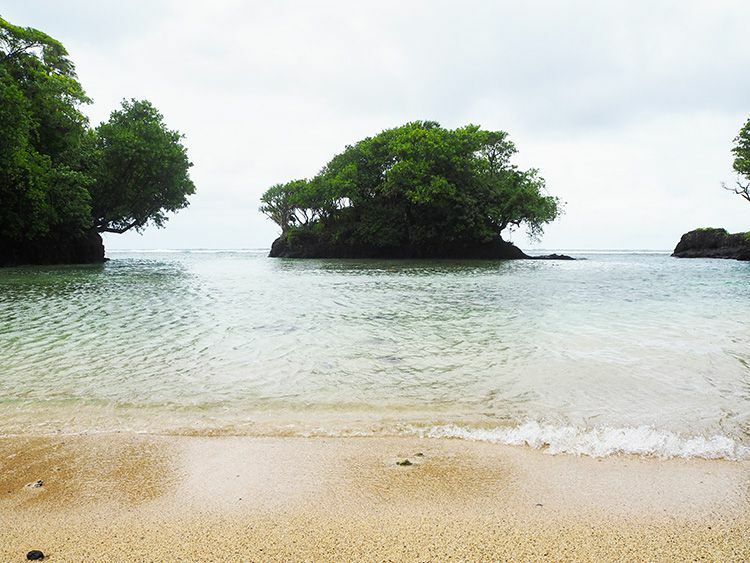 We highly recommended a day trip to Namu’a island. 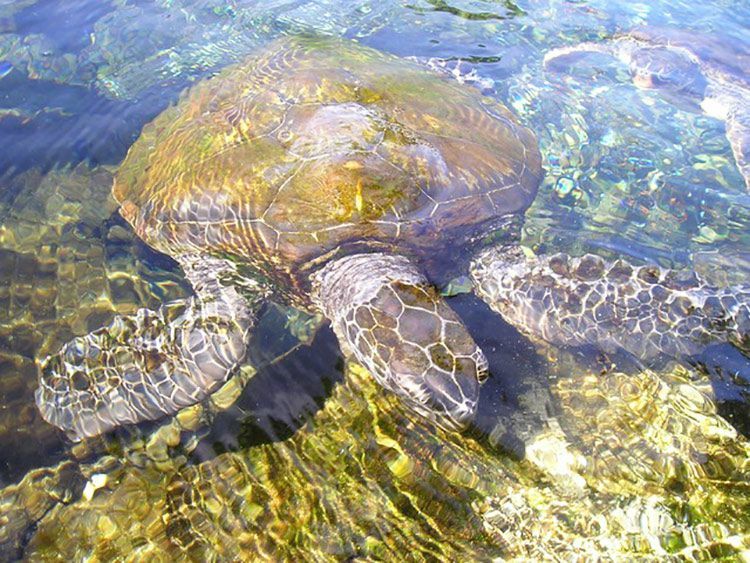 Tip: Remember to take your snorkelling gear and swim near the coral edge of the reef to spot the turtles. 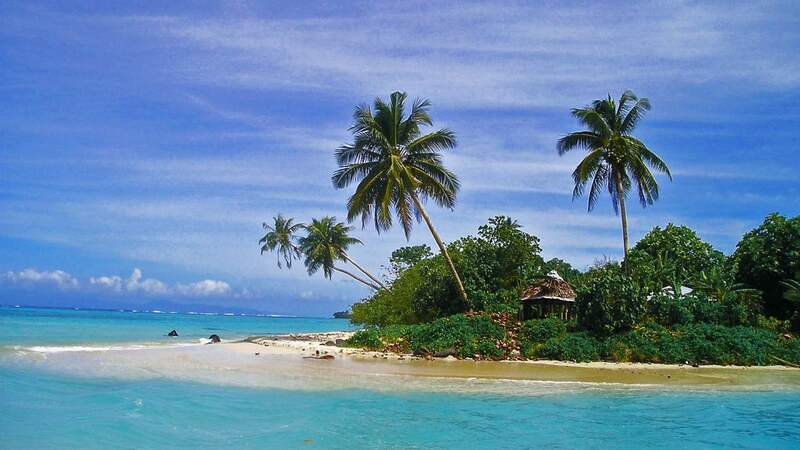 Have you visited the islands in the South Pacific? Which islands would you recommend for our next trip? What a beautiful post! Your trip looks like you had so much fun, and the beauty of the pictures makes me want to go….very soon! Wow how lucky you are! you’re in paradise!! those photos of falls are just exceptionally wonderful. 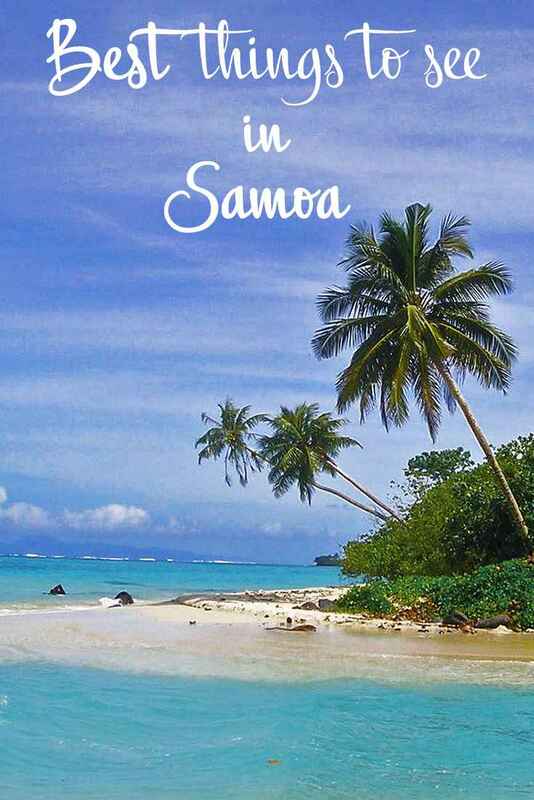 I’m sure If I’m there I’ll be 24/7 outside the house just wandering all the possible corners of Samoa. Great post! 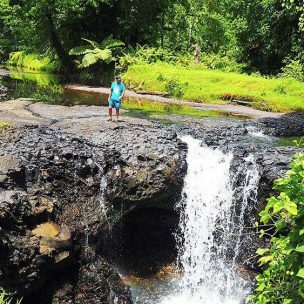 We were out chasing waterfalls in Samoa 😉 Thanks for your lovely comment! Another amazing surprise, you are so lucky. Great photos of a wonderful paradise, did you meet many local people whilst there, everyone we know who goes raves about how friendly the people are? Wow! 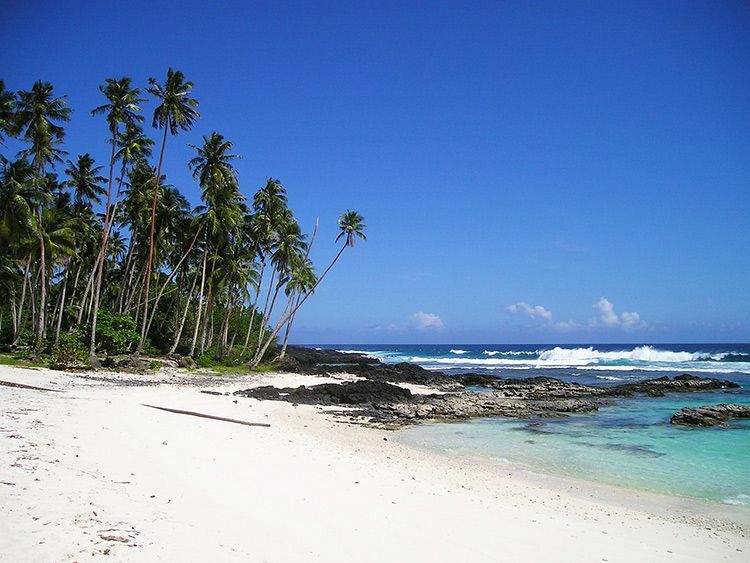 I never thought about going to Samoa, but it looks stunning. I just love all the waterfalls and it is so green. I am going to have to add it to my list! The waterfall and the ocean trench. This place looks like paradise. And no people around… Oh yes, you definitely share some best things. Greatly enjoyed your wonderful post with stunning photographs. Seems you had supreme fun. I’ve seen some nice paradise pictures, but this one is one of the nicest ever! Incredible nature! wow what an amazing surprise! sounds like he definitely spoils you! 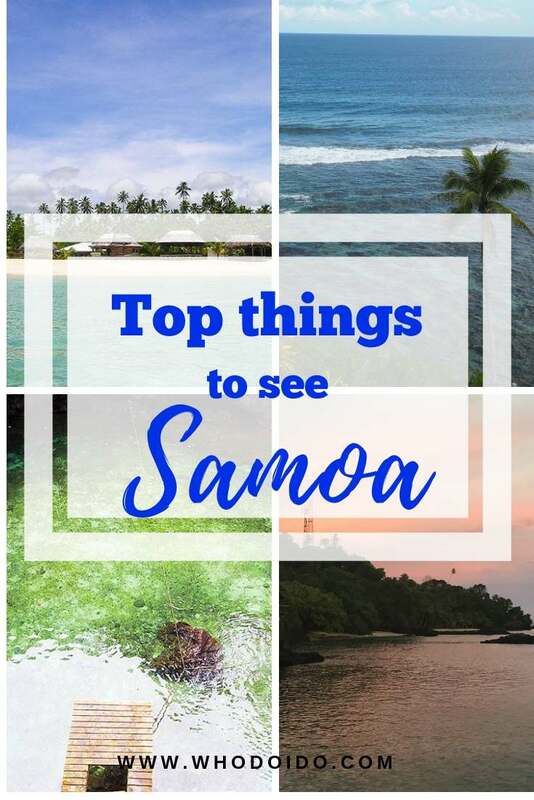 Samoa looks so beautiful I never considered to visit it but now I definitely would, it looks like the perfect tropical retreat! Wow, that place truly looks like paradise to me! I will definitely add it to my bucket list. Thanks for such an inspiring article! You are a lucky girl 🙂 Thank you for introducing this paradise to us. It is definitely underrated comparing to Fiji islands. I do feel quite spoilt! 😉 Thank you for taking the time to read the post and hopefully have inspired you to visit Samoa. Great post! 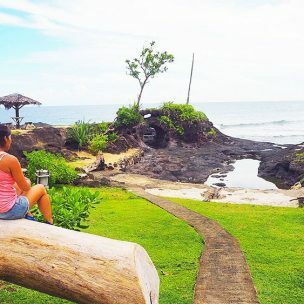 Never been to Samoa but your article gave me some inspiration, thanks for sharing ! What an amazing place! I love waterfalls so I’m sure I’d spend a lot of time visiting those. Everything looks so green and lush! Great photos, and a great article. What a wonderful surprised your new husband planned for you! Sounds like the trip of a lifetime. Thank you for your lovely comment. Yes it was the best surprise ever!